Check out what Terror Threads has for you! Horror clothing company Terror Threads continues to produce apparel from genre films new and old. Its latest collections include recent indie horror hit Terrifier, John Carpenter's seminal Halloween, and scream queen Danielle Harris. Terror Threads has released three Terrifier designs featuring Art the Clown, who's quickly on the rise to becoming a modern horror icon. All three styles come on T-shirts, tank tops, and baseball tees, with the "Man of the Hour" artwork also available on posters, mugs, and turntable slipmats. 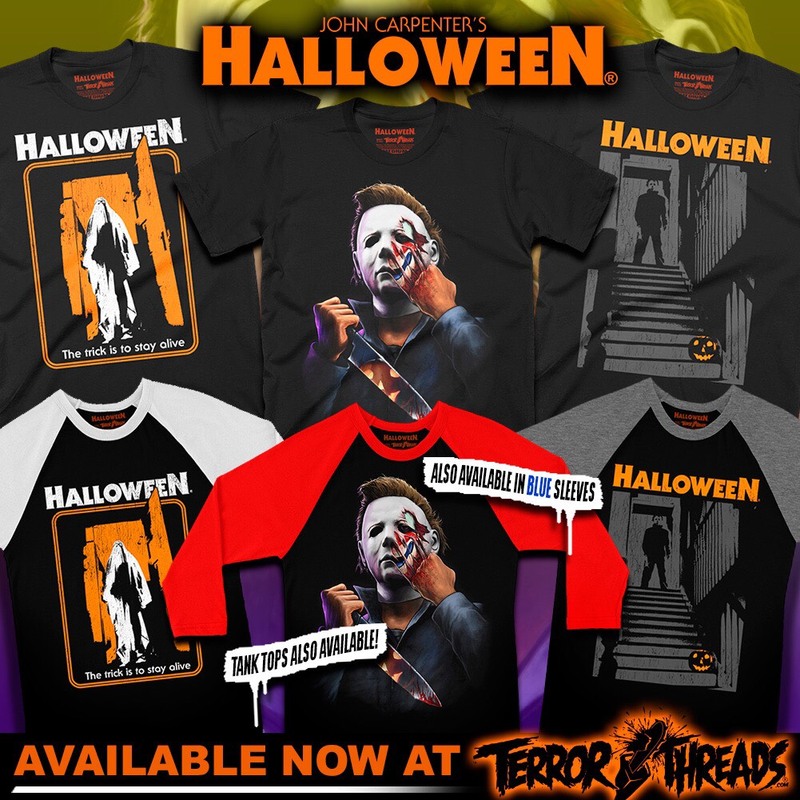 Terror Threads' celebration of the 40th anniversary of John Carpenter's Halloween continues with three new shirts featuring Michael Myers, bringing the company's total Halloween designs to a whopping 19. They're available on T-shirts, tank tops, and baseball tees. Speaking of Halloween, Terror Threads has teamed with franchise favorite Danielle Harris for a line of merchandise dedicated to the scream queen. The first design can be purchased on T-shirts, posters, mugs, and enamel pins, but stock is limited. Terrifier, Halloween, and Danielle Harris collections are on sale now at TerrorThreads.com.